Sunday was such a nice day here! It was 60 something degrees with a cool breeze every now and then. So making it an absolutely beautiful February day! 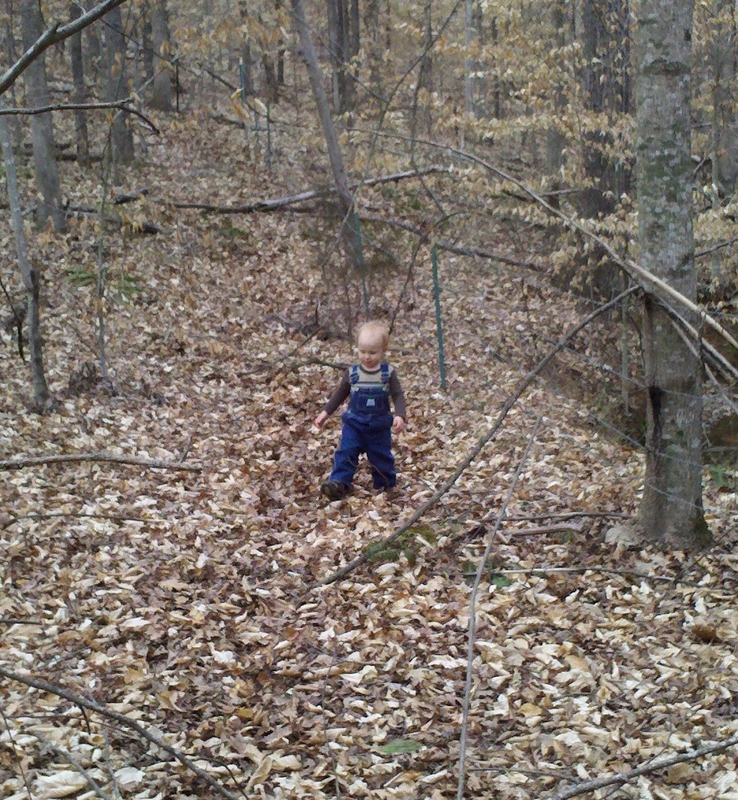 We needed to mark the property lines before the leaves come out. We are getting ready to redo the fences so that we can raise cattle. My grandfather had a herd of polled herdfers until he passed away. That was 20 years ago and the fences are in pretty bad shape. 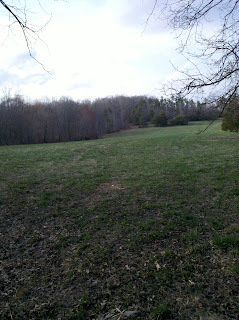 The pastures are still in good shape. So when we get the fences fixed, the cattle should have plenty to eat. 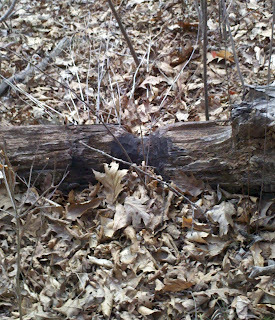 So today we walked the property lines to not only to mark them but to see just how bad the fences are. 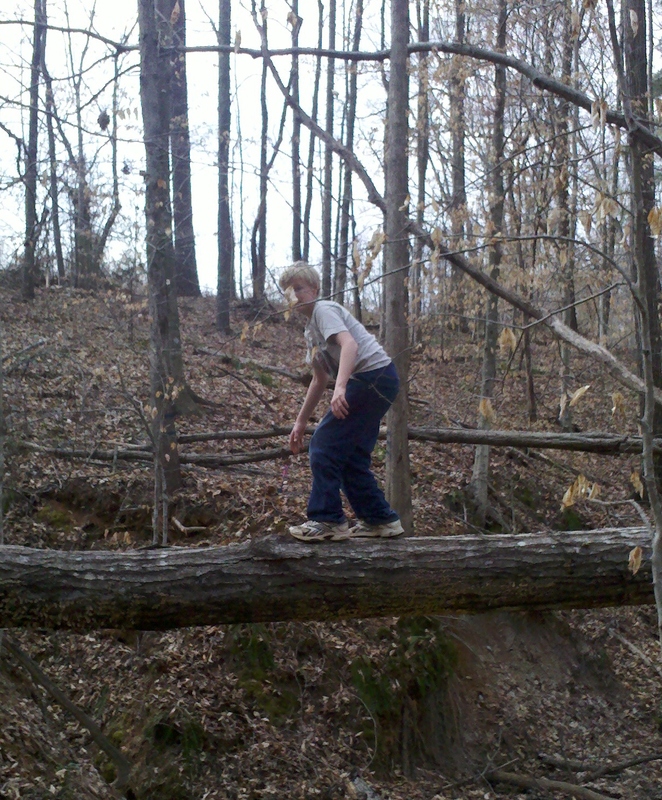 We live in the Southern end of the Appalachian Mountains so there are lots of hills and valleys. So we had to cross a couple of creeks and gullies. Knox found a tree to get across this creek with. 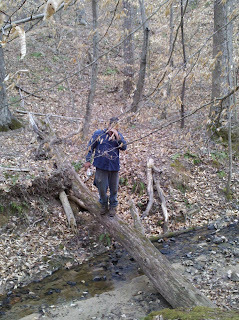 Hubby found another tree to cross another creek. 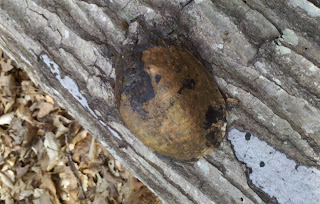 We found a tortoise shell. 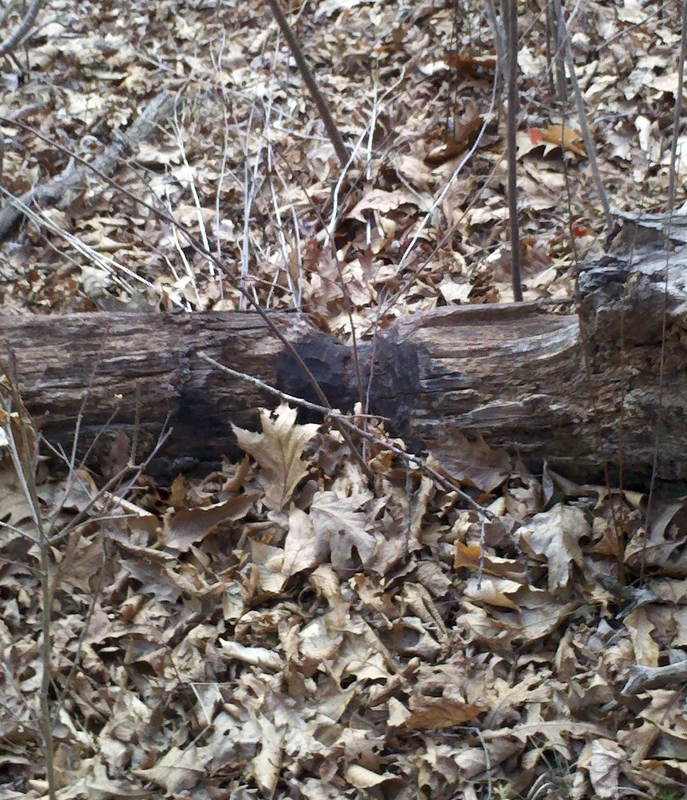 We found were the beavers had been. 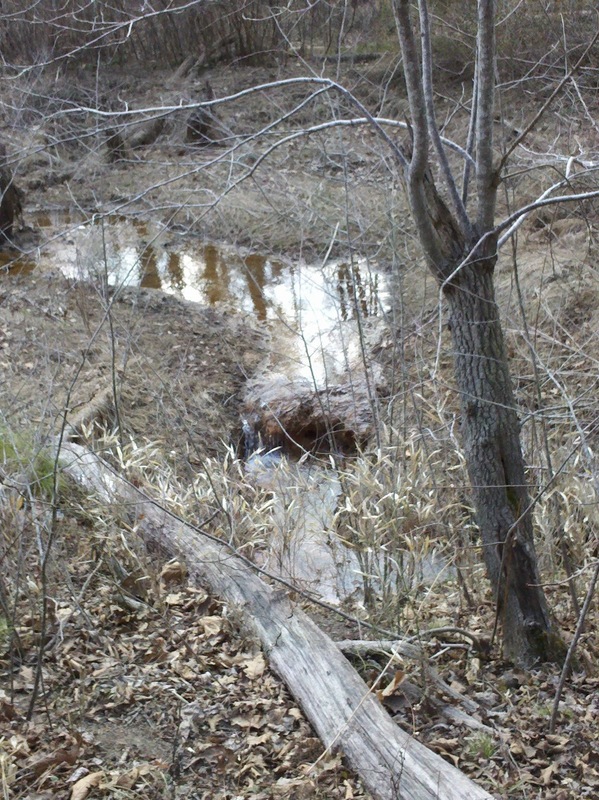 We found a waterfall--made by our beavers. 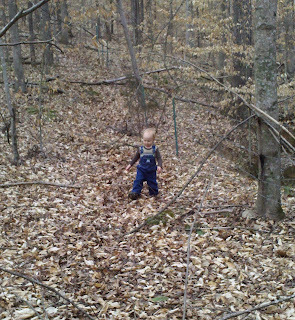 Hamp found all the leaves he could play with! 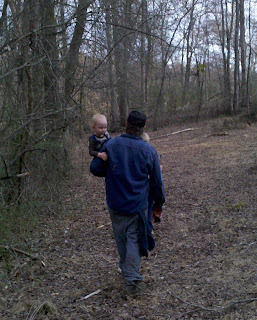 But he finally gave out and Daddy had to carry him the rest of the way! We finished with the fence and found the fescue is greening up...so spring is coming! What a beautiful day outdoors you had! We are so far away from a day like this, I'm watching snow fall out my window as I type this. My parents have horses and when we were kids we always helped repair any downed fence and clean them of weeds/trees ect. They were great memories. 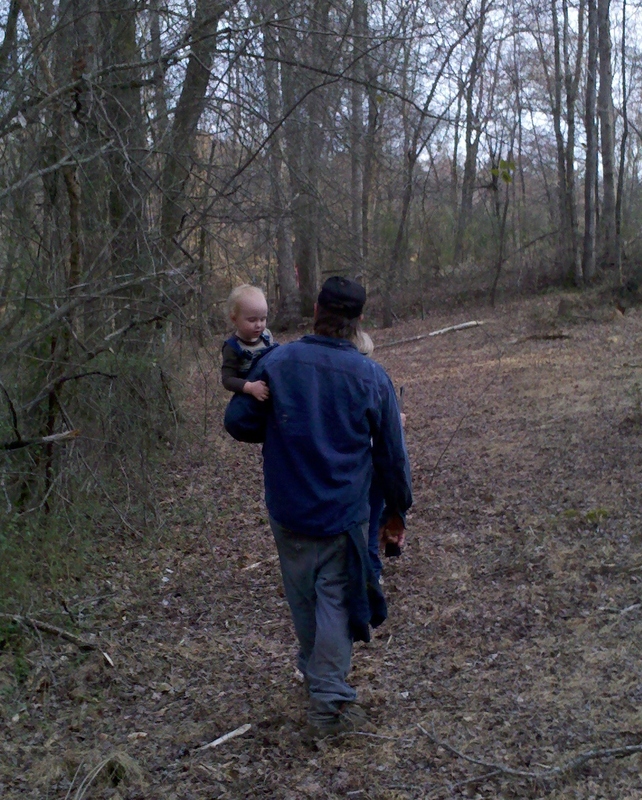 Isn't if fun just to go walking off of the path that you normally take on your property? 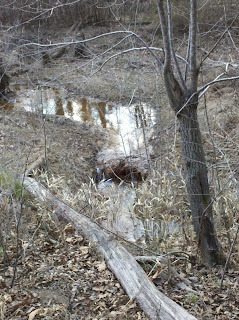 We have a gully but we can't get across it and have to go around it. 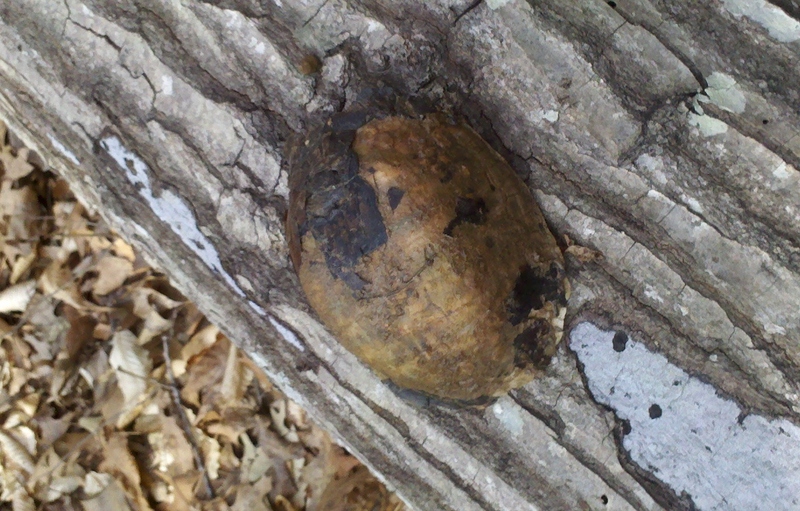 I definitely don't want to go through it in fear of running into a copperhead - yikes! Your pasture looks wonderful! Ours is starting to green up as well but we do have cattle on ours so it is getting eaten pretty quickly.